After obtaining his medical degree from Leiden University and a PhD in surgical oncology, Jeroen trained as a pharmaceutical physician at the European Center of Pharmaceutical Medicine in Basel. In the past 20 years he worked in different academic institutes and companies, such as Wyeth and Organon. 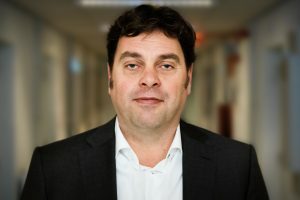 In his last position at Kiadis Pharma, in his role of Chief Medical Officer, he was part of the management team that took the company public on Euronext Amsterdam in 2015 and lead the submission of ATIR101 to EMA. Most of the products he worked on are related to specialized therapeutic areas, such as oncology, haematology and transplantation. He joined DCprime as of 1st October 2018 as Chief Medical Officer.